Prior to Apstra, Jeff was at NETSCOUT for four years, where he was EVP of Global Sales, Alliances and Channel of the PFX and Tools Division. Prior to NETSCOUT, he was at VSS Monitoring (News - Alert) and Apple in various executive operations and leadership roles. 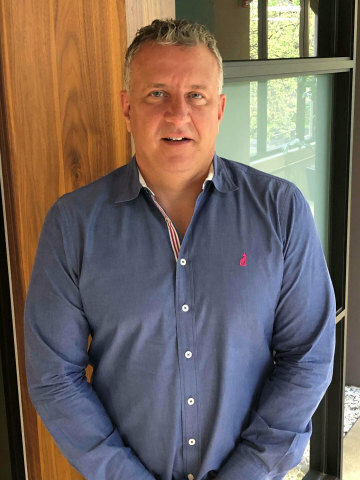 "We are thrilled to welcome Jeff to our growing team," said Mansour Karam, CEO and founder of Apstra, Inc. "It is the right time for Apstra to invest in scaling our sales efforts to capitalize on the global demand for Intent-Based Data Center Automation. Jeff is a proven executive with deep experience in scaling sales teams to deliver results in a fast-paced and high growth startup environment." "It's an exciting time at Apstra and I am looking forward to helping to leverage our deep expertise in Intent-Based Networking to transform data center operations," said Jeff Jones. "Apstra has an impressive set of marquee customers and I look forward to working with this passionate team to scale our sales efforts and to help enterprise, service provider and cloud providers worldwide realize massive TCO savings through data center network automation solutions." Apstra® Intent-Based Data Center Automation increases application availability and reliability, simplifies deployment and operations, and dramatically reduces costs for Enterprise, Cloud Service Provider, and Telco data centers. Apstra empowers Intent-Based Data Centers through its pioneering Intent-Based Networking, distributed system architecture, and vendor-agnostic overlay. Headquartered in Menlo Park, California and privately funded, Apstra is a Gartner (News - Alert) Cool Vendor and Best of VMworld winner. For more information visit: www.apstra.com or follow us on twitter @ApstraInc. Learn more about the latest Apstra deployment at Bloomberg (News - Alert). Read the case study. Schedule a 1:1 to meet at Dell (News - Alert) Technologies World or drop by Apstra's booth #136 to learn more about simplifying network automation in your network.